“The ad in question is full of disgraceful Nazi imagery regardless of the film’s message and did not meet our guidelines,” Marianne Gambelli, president of ad sales at Fox News, told Gizmodo in a statement emailed by Fox News PR. 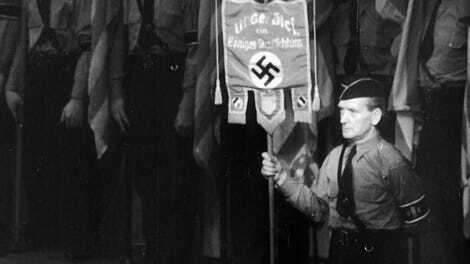 We’ve looked at a lot of Nazi history here on the Paleofuture blog over the past few years. Like how American PR pros helped sell the Nazis to Americans, how the Nazis kept a list of powerful friends in Los Angeles, how America’s top Nazi sued Warner Bros. for libel, and how the publisher of the L.A. Times was buddying up with Nazis during the 1930s. 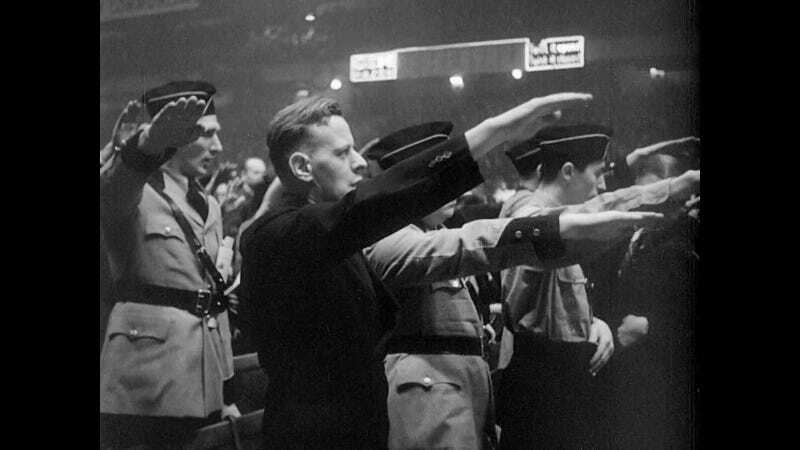 The Nazi movement in the U.S. was a very real thing and it’s terrifying to see the parallels to today. As just one recent example, a man wearing a MAGA hat assaulted a BBC cameraman this week at one of President Donald Trump’s neo-fascist rallies in El Paso, Texas. President Trump often calls the media “fake news” as a way to rile up his supporters. Update, 7:55am: This article was updated with a copy of the ad that was banned by Fox News. Update, 11:08am: This article was updated with a statement from Fox News.